HOURGLASS Nº 28 Tinted Lip Treatment Oil in Icon is a new obsession for Helen from Lola's Secret Beauty Blog because it offers all of the benefits of the original luxe formula, but in their signature shade, Icon. Get yours before this Limited Edition Holiday beauty sells out! 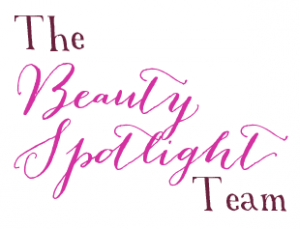 Prime Beauty shops for the Best Holiday Beauty Sets so you don't have to! Geniabeme talks about her current day cream by Derma e. It’s a light cream that keeps your face moisturized throughout the day! Brooke from Blushing Noir shows you her saving grace for cleaning makeup brushes! Starting getting your skin holiday ready now! Never Say Die Beauty is hosting a giveaway of StriVectin Advanced Retinol Pore Refiner to help you shrink enlarged pores by 50%! Beauty Info Zone loves anything to do with eyes and now they have a Secret Crush on a Pur Cosmetics eyeshadow palette. Are you wearing the Right Bra Size? I wasn't! Find out what to look for plus tips on prolonging the life of your bra on Phyrra's Beauty Blog. The ZOYA company we all know and love is now selling LIPSTICK! Stop by The Feminine Files to see what Kristina thinks of the 3 shades that she tried. Hint, they are beautiful! 15 Minute Beauty shared her favorite tips for how to layer your mascara, and which ones to use. Have you been layering? Is the Urban Decay Vice 4 Palette worth putting one your holiday wishlist? Christa from Perilously Pale reviews the palette and shares a Vice 4 look featuring her favourite shades. Winter is coming! Follow these 5 Tips for Winter skin! Hairspray and Highheels shows us just how to get the perfect routine! Find out how Pammy Blogs Beauty makes her own "sun" everyday with her BIC Soleil Glow Razor! Watches are chic and timeless and Justina's Gemsis really enjoying Jord's style this season. Check out her two favorites for men and women. Watches are chic and timeless and Justina's Gems is really enjoying Jord's style this season. Check out her two favorites for men and women. I love round up posts! I'll be sure to read all of these that I have not already!